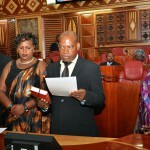 BOOED: 'Iron Lady' Ingrid Turinawe. 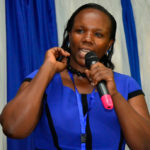 The Forum for Democratic Change (FDC) and party Secretary for Mobilisation Ingrid Kamatenesi Turinawe are involved in a public spat over the latter’s interest in vying for the East African Legislative Assembly (EALA). 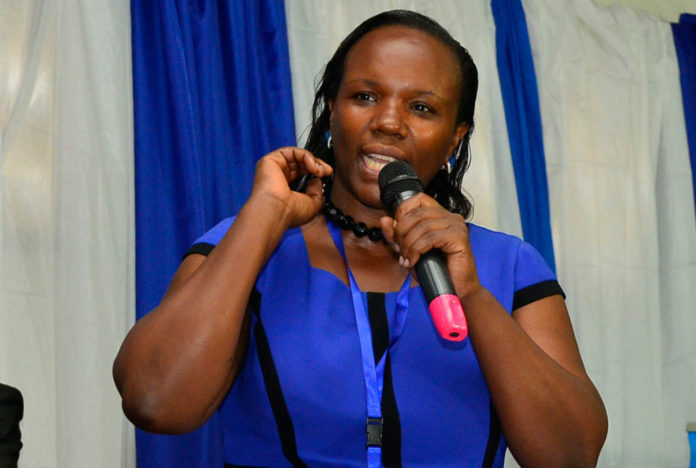 In a letter to the Clerk of Parliament, FDC President Major General Mugisha Munutu said the party had withdrawn Turinawe’s candidature. ‘Please refer to our letter ref: FDC14.2/POU/01/1/17, dated February 7, 2017, regarding FDC nominated candidates for EALA. 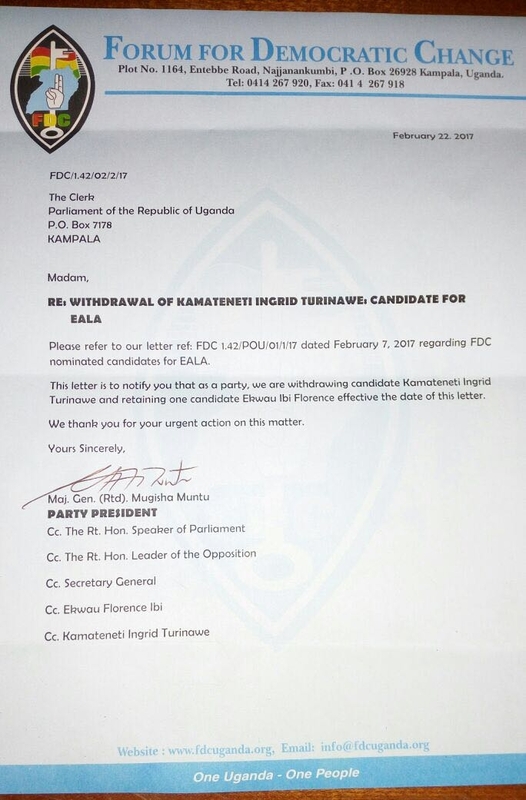 This letter is to notify you that as a party, we are withdrawing candidate Kamatenesi Ingrid Turinawe and retaining one candidate, Ekwau Ibi Florence effective the date of this letter. 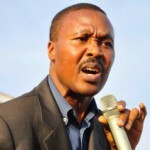 We thank you for your urgent action on this matter,’ Maj. Gen. Muntu wrote. 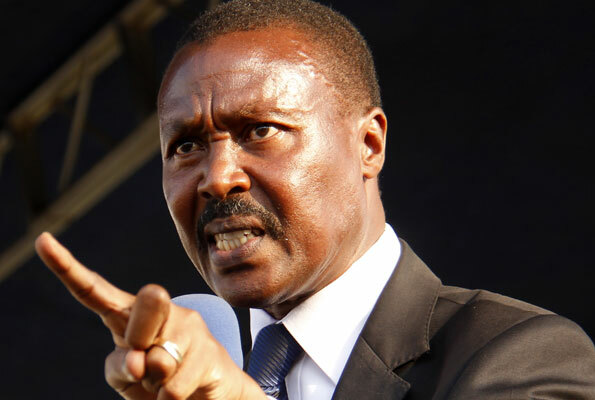 However, Gen. Muntu’s letter has triggered off an angry reaction from the FDC ‘Iron Lady’. ‘I am in the race. The author of that letter has no authority to withdraw me’, she wrote on her Twitter handle, also attracting words of caution and restrained anger from her followers. ‘Sister Ingrid, if you lost the race, how come you are in it’? 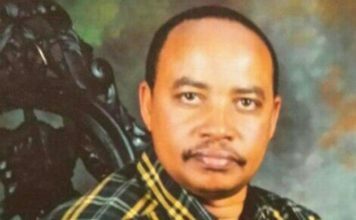 Please educate me; it seems you guys are hell bent on causing mayhem in the party. You need to support your leader’s decision. 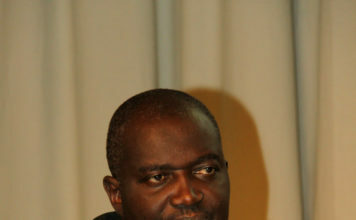 Are there 2 FDC party’? Alice Ruhindi, political activist and an in-law to former Prime Minister John Patrick Amama Mbabazi, wrote. 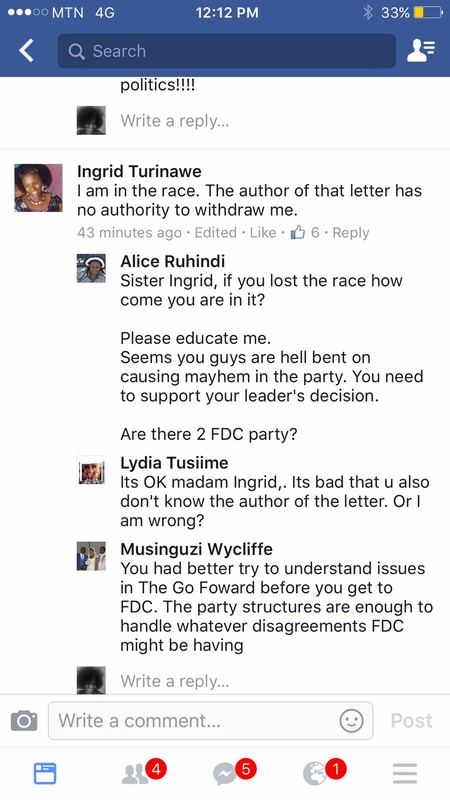 ‘Its OK madam Ingrid; its bad that you also don’t know the author of the letter. Or I am wrong’? 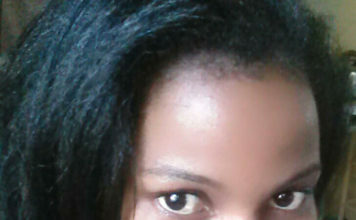 paused one Lydia Tusime.